BlackBerry caught tweeting from an iPhone | BlackBerry Blast! BlackBerry is trying to convince the world that it is better than the iPhone, yet someone the company apparently uses an iPhone. How embarrassing can it get for BlackBerry? The Verge busted the Canadian smartphone maker when it posted a copy of the tweet that has since been removed. The Verge ran an article mocking BlackBerry for the error along with the picture above. 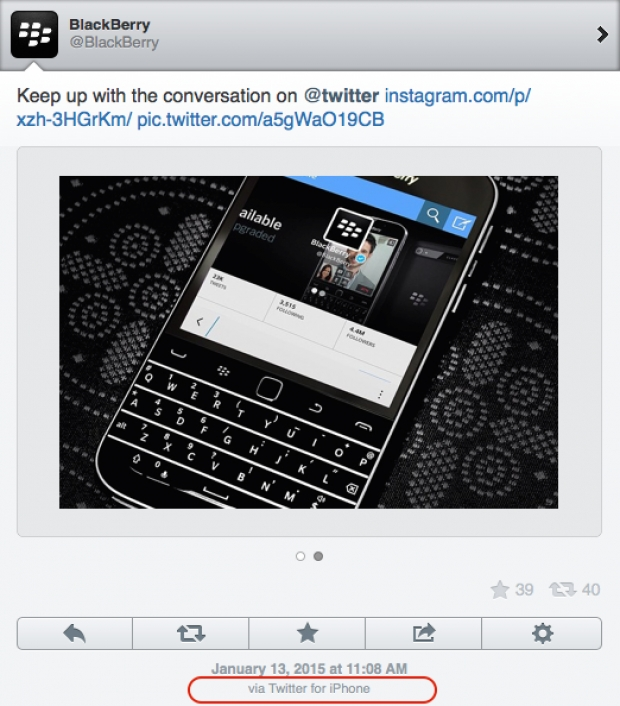 It seems unthinkable that someone at BlackBerry would actually use an iPhone for using Twitter. Wouldn't one of the BlackBerrys be better? Apparently not.